Find Segment LED Display, 6 Digit 7 Segment LED Display, 12 Inch 7 Segment LED Display on Industry Directory, Reliable Manufacturer/Supplier/Factory from China. Model NO. : XH-LED 7 Segment IP Rating: IP65 Pixel Configuration: 1R, 1G, 1B Average Power Consumption: 350W / m² Scanning Mode: Static Scan Application: Household Appliances Trademark: Xuhai Origin: Guangdong, China (Mainland) Tube Chip Color: Full Color Pixel Pitch: 16mm Display Function: Image & Text Display Pixel Density: 10000 dot / m² Display Type: Segment LED Display Certification: RoHS Specification: Customized Size HS Code: 8541401000 What Features of our 7 Segment Led Display? Customized requirements can be meet. Advantages: long life, low voltage, energy saving, even luminance, good stability and uniformity. Various emitting colors: red(640nm),yellow green (572nm),pure green(525nm),yellow(590nm),blue(430nm), pure blue(470nm). 1-digit, 2-digits, 3-digits, 4-digits, 6-digits available with black or grey face. Digit height: from 0.28" to 56" (0.28",0.3", 0.36", 0.39", 0.4", 0.5",0.52", 0.56",~8") LED numeric & alphanumeric displays for indoor, semi-outdoor and outdoor application. 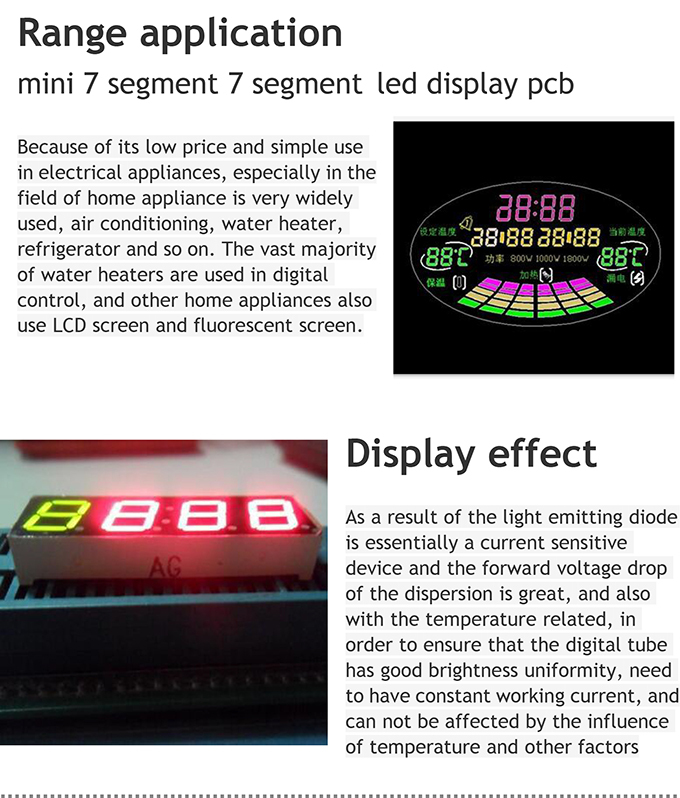 Contact us if you need more details on Segment LED Display. 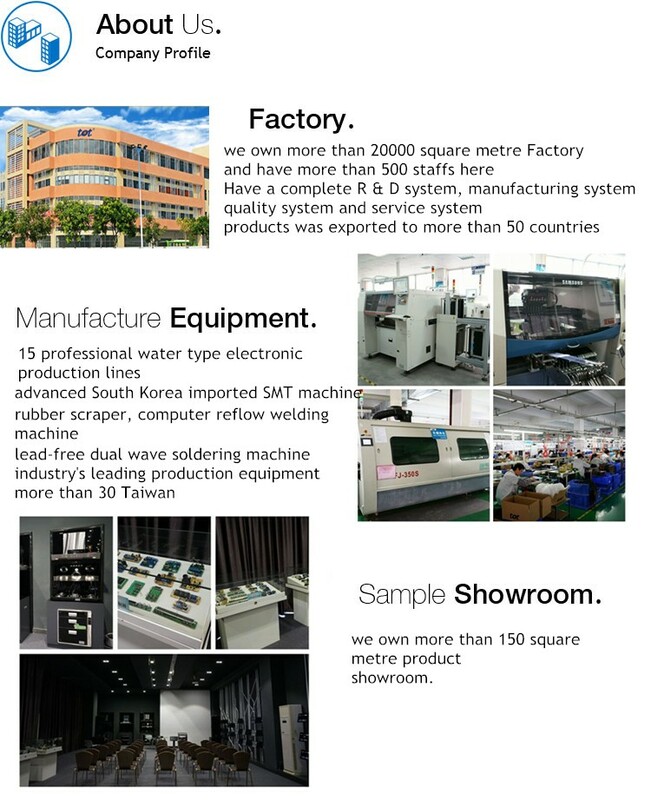 We are ready to answer your questions on packaging, logistics, certification or any other aspects about 6 Digit 7 Segment LED Display、12 Inch 7 Segment LED Display. If these products fail to match your need, please contact us and we would like to provide relevant information.